Hope you have all had a magical Christmas! 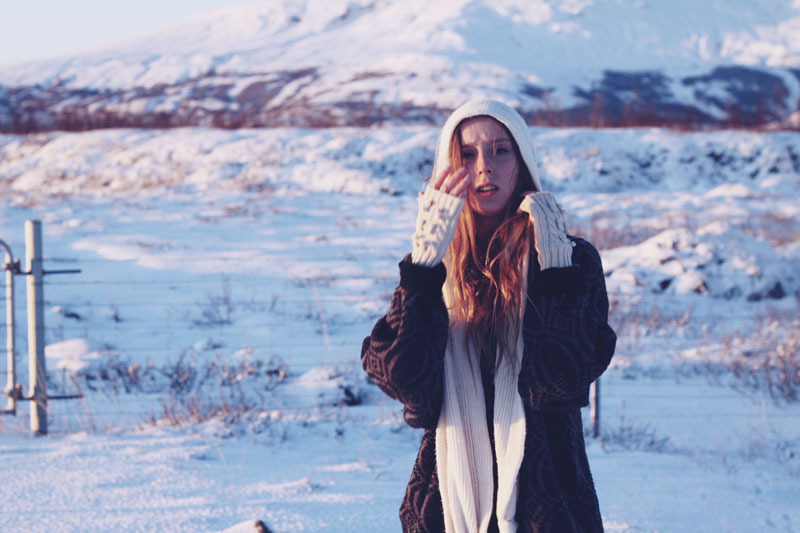 These photos were taken in Iceland. It really was a winter wonderland and it would have been a dream to spend Christmas there. Often, when we were driving on the roads it felt like we were in the Antarctic. 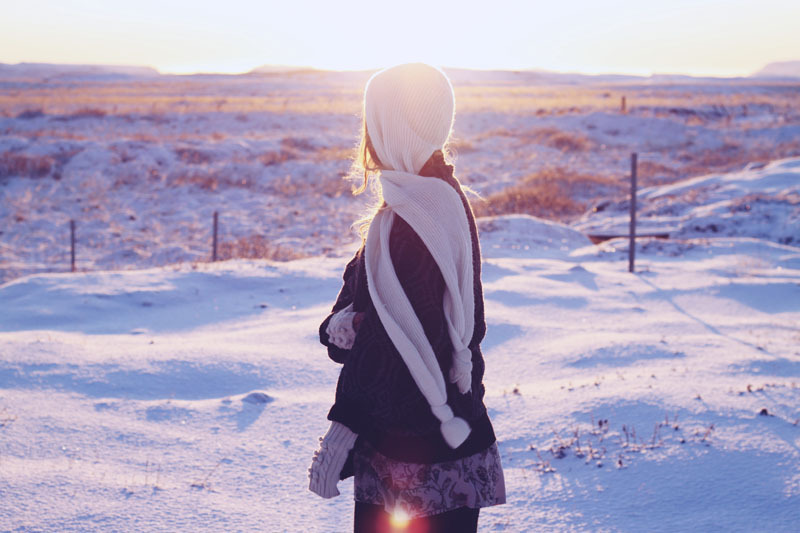 The scenery was so very beautiful and the snow was so fine, almost like icing sugar. It was a fun challenge to keep wrapped up warm as I do love over-sized knits and wrapping myself up in blankets. Wishing you all a wonderful run up to the New Year! These photos are amazing. 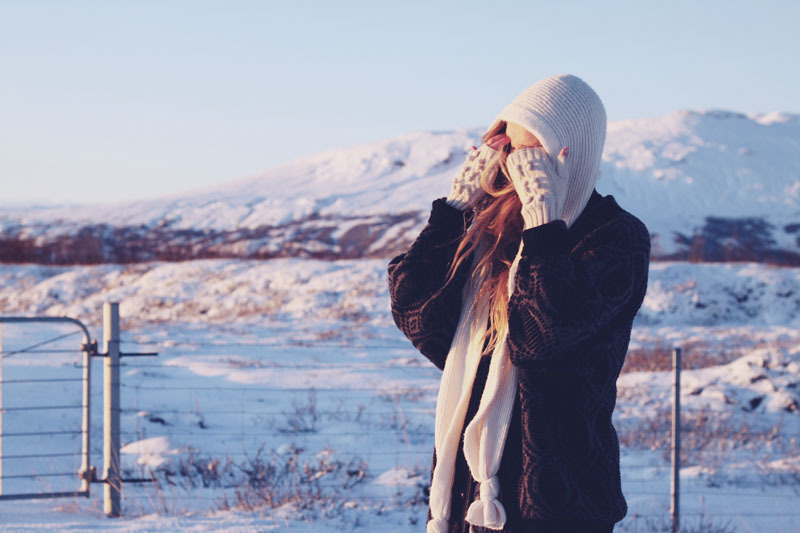 You look beautiful, and so does Iceland. I hope you had a magical Christmas! Oh, lovely images, Sarah! Happy Holidays! Loving those pictures, great light. These photographs are really really amazing! Well, your whole blog is! I don't know how I am here now but I am fascinated! That knit sure looks cozy, really like the pattern! And the light is so beautiful too, lovely pics! I can't believe you went to Iceland, I am so jealous! I've always wanted to go there- these photos are stunning. It looks like a painting by Monet!